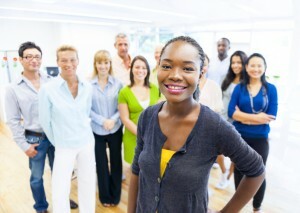 Millennials are a growing pool of talent in the workforce. According to the Bureau of Labor Statistics, the average age of the worker in the print industry is 47 years old, meaning that the print workforce will soon begin to retire. Millennials, those born between 1982 and 2000, will compose 40% of the working population by 2020. Learning how to attract and retain a Millennial workforce may be key to helping your printing company survive. Millennials often get a bad rap in the media. Many articles have been published that call Millennials entitled and lazy. However, this isn’t the whole story. Millennials have grown up surrounded by computers and new and emerging technologies. They’ve lived through several international conflicts. They know the value of working together as a team and staying abreast of the latest innovations. One of the best things about a Millennial workforce is that Millennials don’t see a college degree as a be-all end-all to education. Rather, most Millennials view each job as a learning opportunity and will treat their co-workers and managers as teachers. Millennials are ready to build their careers and will go the extra distance and use their intuitive technological talent to master their positions. If you have members of your team who are entering retirement and you want to hire Millennials to replace them, there are a few ways you can make your company sound attractive. First, think about your business’s culture. Will you be placing your new employee in a room by themselves with little interaction with others? This doesn’t sound appealing to most Millennials. Since Millennials like to learn and feel appreciated for their efforts, a better working situation would be to have your new employee interact with several people throughout the day and get honest and helpful feedback on their performance. Investing in a career development program is a surefire way to grab Millennials’ attention. You want your company to be a place to foster learning and growth as well as encourage innovation and new ideas. This entry was posted on Thursday, March 17th, 2016	at 5:24 pm	and is filed under industry practices	. You can follow any responses to this entry through the RSS 2.0	feed. Both comments and pings are currently closed.